Petitioner: STEEL AUTHORITY OF INDIA LTD.
Respondent: DESIGNATED AUTHORITY, DIRECTORATE GENERAL OF ANTI-DUMPING and ALLIED DUTIES and Ors. .
4. By the Finance Act No.2 of 1980, a quasi- judicial authority, namely, Customs Excise and Gold (Control) Appellate Tribunal (CEGAT) was constituted to hear appeals against orders of the Collector as well as the orders of the Board. The said Tribunal came to be known as Customs, Excise and Service Tax Appellate Tribunal (CESTAT), with the introduction of levy of service tax. The CEGAT and its successor CESTAT were constituted as specialized quasi-judicial appellate bodies to decide all issues relating to duty assessment under the Customs Act. There was no provision of appeal to the jurisdictional High Court against the order of the appellate tribunal. However, under Section 130 of the Act a Reference jurisdiction was vested in the High Court on a question of law not relating to the determination of any question having a relation to the rate of duty of customs or to the value of the goods for the purpose of assessment. 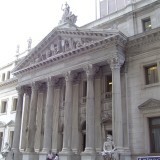 Under Section 130A, introduced by the Finance Act, 1980, a Reference jurisdiction was also conferred in the Supreme Court in case the Appellate Tribunal was of the opinion that on account of a conflict in the decisions of the High Courts on the same question of law, a reference to the Supreme Court is necessary. Under Section 130E(a) an appeal was provided to the Supreme Court from any judgment of the High Court delivered on a Reference, where the High Court certified the case to be a fit one for appeal to the Supreme Court. Under Section 130E(b) against any order passed by the Appellate Tribunal relating, among other things, to the determination of any question having a relation to the rate of duty of customs or to the value of goods for purposes of assessment, an appeal was also provided to the Supreme Court. Section 130F of the Customs Act, 1962 provided that the provisions of Civil Procedure Code, 1908 relating to appeals to the Supreme Court shall, so far as may be, apply in the case of appeals under Section 130 as they apply in the case of appeals from decrees of a High Court. 8. By the National Tax Tribunal Act, 2005, a National Tax Tribunal was constituted under Section 5 thereof to hear appeals from “every order passed in appeal by the Income Tax Appellate Tribunal and the Central Excise and Service Tax Appellate Tribunal if the National Tax Tribunal is satisfied that the case involves substantial question of law” (Section 15). Under Section 23 of the National Tax Tribunal Act, 2005 on and from the notified date all proceedings including appeals and references under direct taxes, and indirect taxes pending before all High Courts stood stand transferred to the National Tax Tribunal. Section 24 provided for an appeal to the Supreme Court against any decision or order of the National Tax Tribunal. With the enactment of the National Tax Tribunal Act, 2005 provisions contained in Section 130A, B, C, D of the Customs Act, 1962 were repealed and the corresponding changes were also brought in Section 130E of the said Act. Section 130F continued to remain in the same form. 10. What is required to be noticed at this stage is that under the Customs Act, 1962, (as amended), against an order of the appellate tribunal on a question not relating to duty or to classification of goods, an appeal lies to the High Court on a substantial question of law. A reference, again, on a question of law, may also be made to the High Court in respect of similar orders of the appellate tribunal (not relating to determination of duty or classification of goods) passed on or before 1.7.2003. At the same time, a direct appeal to the Supreme Court against an order of the appellate tribunal on a question relating to the rate of duty or classification of goods has also been provided for. No conditions, restrictions or limitations on the availability of the appellate remedy before the Supreme Court is envisaged in the main Section [130E(b)] though under Section 130F conditions to the exercise of the appellate power seem to have been imposed, the precise application of which is the determination i.e. required to be made by us. (2A) The High Court may admit an appeal after the expiry of the period of one hundred and eighty days referred to in clause (a) of sub-section (2), if it is satisfied that there was sufficient cause for not filing the same within that period. 12. The history of the customs duty regime traced out above would go to show that after constitution of the Appellate Tribunal, the proceedings of which were/are deemed under the Act to be judicial proceedings, the duty of determining the correctness of questions relating to rate of duty or classification of goods has been primarily cast by the Act on the Tribunal. The Reference jurisdiction of the High Court up to the time of the amendment made in the year 2003 and the Appellate jurisdiction of the High Court thereafter is in respect of questions not relatable to the rate of duty or classification of goods. An appeal also lies to the Supreme Court against the order or the judgment of the High Court either in exercise of the appellate or reference jurisdiction [Section 130E(a)]. At the same time, a direct appeal lies to the Supreme Court against an order passed by the appellate tribunal relating to the question of duty or classification of goods [Section 130E(b)]. Section 130F has weathered all amendments and make the provisions of the Code of Civil Procedure relating to an appeal to the Supreme Court applicable to appeals under Section 130 of the Act. The question, therefore, would be whether the provisions of Section 130F would be applicable to both sets of appeals that may be filed before Supreme Court, namely, against orders of the High Court as well as those of the appellate tribunal. 13. The language used by the legislature in Section 130F of the Act prescribing the contours of the jurisdiction of the Supreme Court while hearing appeals either against the decision of the High Court in its appellate or reference jurisdiction or while hearing an appeal against the order of the appellate tribunal has been same and has remained unchanged throughout the legislative history of Chapter XV of the Act (dealing with appeals) commencing with the amendment brought about by the Finance Act of 1980. The provisions of the Civil Procedure Code 1908 relating to appeals to the Supreme Court from a decree of a High Court, as far as may be, has been made applicable to all appeals to the Supreme Court under Section 130E of the Act. Section 130F of the Act, all along, has dealt with both sets of appeals that would lie to the Supreme Court, namely, against an order of the High Court in exercise of its appellate or reference jurisdiction, as the case may be, or against the order of the appellate tribunal. If that be so, there is no reason why the appellate power of the Supreme Court under Section 130E(b) against the order of the appellate tribunal should be construed in a manner different from the contours of the appellate power under Section 130E(a) against the order of the High Court. 15. Chapter IV of Part V of the Constitution contains the provisions in Articles 132, 133, 134 and 134A which contemplate appeals to the Supreme Court from any judgment or decree or final order of the High Court in exercise of its civil, criminal or any other jurisdiction provided the High Court certifies that the case involves (i) a substantial question of law as to the interpretation of the Constitution, (ii) a substantial question of law of general importance which in the opinion of the High Court needs to be decided by the Supreme Court. 16. Chapter IV of Part V of the Constitution expressly limits the appellate jurisdiction of the Supreme Court to what has been noticed above. The power of the Supreme Court to grant special leave to appeal under Article 136 is an exception, the scope of which is not in issue and hence need not detain the Court. Article 138 of the Constitution confers power on the Union Parliament to confer further jurisdiction in the Supreme Court with regard to any of the matters in the Union List or any matter as the Government of India and the Government of a State may by special agreement confer, subject to enactment of a law to such effect by the Union Parliament. It is under the provisions of Article 138 that the statutory power of appeal under different statutory regimes has been conferred on the Supreme Court of India. Article 138 of the Constitution could not and does not deal with the scope of the appellate power that a statutory enactment made by the Union Parliament may confer on the Supreme Court. Rather, it deals with the range of the subjects to which the jurisdiction of the Supreme Court may be extended/enlarged by Parliament. Therefore, while construing the extent of the appellate jurisdiction to be exercised by the Supreme Court under a statutory enactment, the role of the Supreme Court as envisaged by the Constitution cannot altogether be lost sight of particularly when different statutes like the Electricity Act, 2003; Companies Act 2013, National Green Tribunal Act, 2010, Telecom Regulatory Authority of India Act, 1997, by way of illustration, expressly limit the appellate power of the Supreme Court to determination of substantial questions of law (Section 100 CPC). To our minds the position should be no different in construing the provisions of Section 130E(b) of the Act though it omits to specifically mention any such limitation. 17. Section 130E(b) of the Act provides for a direct appeal to the Supreme Court against an Order of the appellate tribunal, broadly speaking, on a question involving government revenue. This seems to be in view of the fact that the order that would be under appeal i.e. 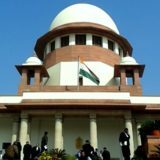 (order of the appellate tribunal) may go beyond the inter se dispute between the parties and effect upon a large number of assessees. The issue, in such an event, surely will be one of general/public importance. Alternatively, the question raised or arising may require interpretation of the provisions of the Constitution. Such interpretation may involve a fresh or a relook or even an attempt to understand the true and correct purport of a laid down meaning of the Constitutional provisions that may come into focus in a given case. It is only such questions of importance, alone, that are required to be decided by the Supreme Court and by the very nature of the questions raised or arising, the same necessarily have to involve issues of law going beyond the inter partes rights and extending to a class or category of assessees as a whole. This is the limitation that has to be understood to be inbuilt in Section 130E(b) of the Act which, in our considered view, would also be consistent with the role and jurisdiction of the Supreme Court of India as envisaged under the Constitution. Viewed from the aforesaid perspective, the jurisdiction of the Supreme Court under Section 130E(b) of the Act or the pari materia provisions of any other Statute would be in harmony with those contained in Chapter IV of Part V of the Constitution. 18. Two decisions of this Court would require a specific notice at this stage. The first is in the case of Navin Chemicals Mfg. and Trading Co. Ltd. vs. Collector of Customs, where this Court has taken the view that the expression “determination of any question having a relation to the rate of duty of customs or, value of goods for purposes of assessment” must be read as meaning a direct and proximate relationship to the rate of duty and to the value of goods for purposes of assessment. The other is the decision of this Court in Collector of Customs, Bombay vs. Swastic Woollen (P) Ltd. and Ors., where this Court had an occasion to deal with the ambit of the appellate power under Section 130E of the Customs Act. The following extract from the judgment in Swastic Woollen (supra) amply summarize the view of this Court on the above question and therefore would require to be extracted. 21. The appellant which is a public sector undertaking is engaged in the manufacture of steel in the regular course of its business. The appellant uses graphite electrodes which it gets imported from China. Against such imports from China, on the basis of the final report of the Designated Authority acting under the Anti Dumping Rules, namely, the Customs Tariff (Identification, Assessment and Collection of Anti-Dumping Duty on Dumped Articles and for Determination of Injury) Rules, 1995, the Union of India by a Notification dated 13.02.2015 has imposed anti-dumping duty upon the import of graphite electrodes of all diameters from specific importers operating within the Republic of China for a period of five years. This Notification was challenged by the appellant before the appellate tribunal (CESTAT). On behalf of the appellant it was urged before the learned Tribunal that the Designated Authority had determined the normal value of graphite electrodes within China in an impermissible manner and that there has been application of excessive confidentiality in the report of the Designated Authority. No challenge to the validity of any provision of the Anti Dumping Rules which sets out the procedure for determination of the margin of dumping was laid before the Appellate Tribunal. 22. The learned Tribunal, on due consideration, came to the conclusion that the report of the Designated Authority neither suffers from any excessive imposition of confidentiality nor from the alleged non- consideration of any of the grounds urged on behalf of the appellant. The tribunal further held that the Designated Authority had followed an acceptable method of determining the normal value of electrodes within China by comparing individual work undertaken by an exporter vis-à-vis the export price imposed and that there was no infirmity in the matter of such determination. 23. Specifically, the final findings of the Designated Authority disclose that to determine the margin of dumping the said authority undertook an exercise to find out the normal value of graphite electrodes in the Republic of China and then proceeded to compare the same with the export price of the product. The Designated Authority on conclusion of an arduous determination process came to the conclusion that the margin of dumping varies from one exporter to the other and the percentage thereof varies from 20 to 95 per cent. The Designated Authority also found that the demand for graphite electrodes from the domestic industries had increased by 37% during the period of investigation (2009-2012) whereas the demand from particular exporters in China had increased by 177 per cent during the same period. The Designated Authority further found that during the period of investigation the production of graphite electrodes by the domestic industry had decreased whereas the import of the same from China had increased substantially and, therefore, the domestic industries are suffering material injury due to dumping of graphite electrodes from exporters within China. It is on the basis of the aforesaid findings that the Designated Authority had recommended that anti-dumping duty be imposed which found manifestation in the Gazette Notification dated 13.2.2015. Tags: CIVIL APPEAL NO.241 OF 2017DESIGNATED AUTHORITY DIRECTORATE GENERAL OF ANTI-DUMPING and ALLIED DUTIES and Ors. .RANJAN GOGOI ASHOK BHUSHANSteel Authority of India Ltd.